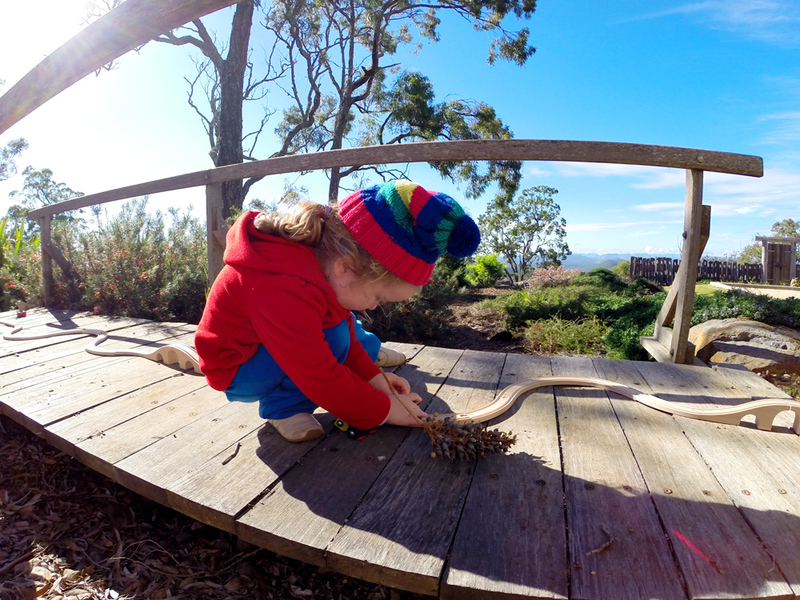 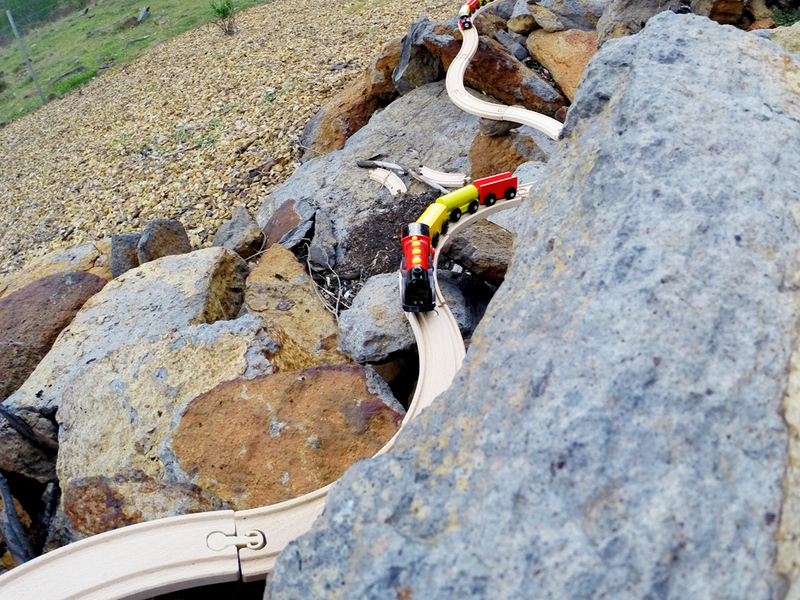 Keira and her cousin Hayden decided where this track would be build and they chose on top of the rocks. 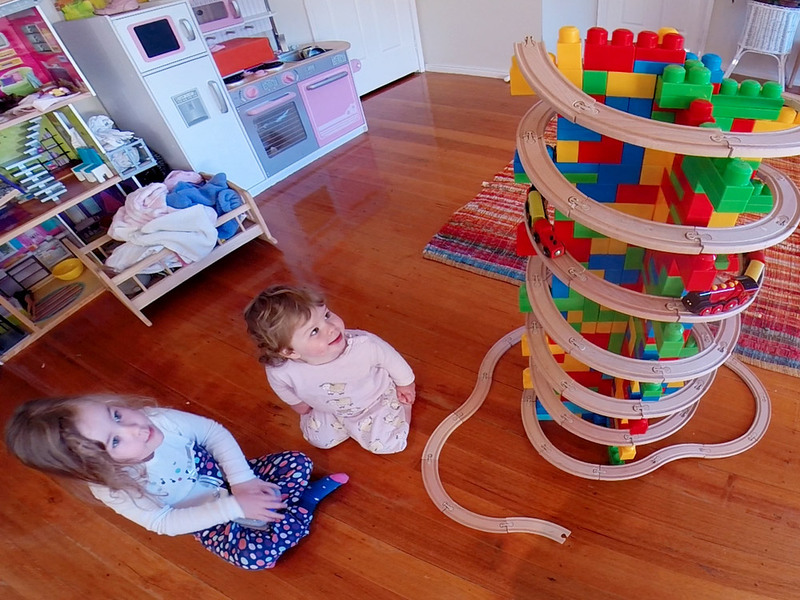 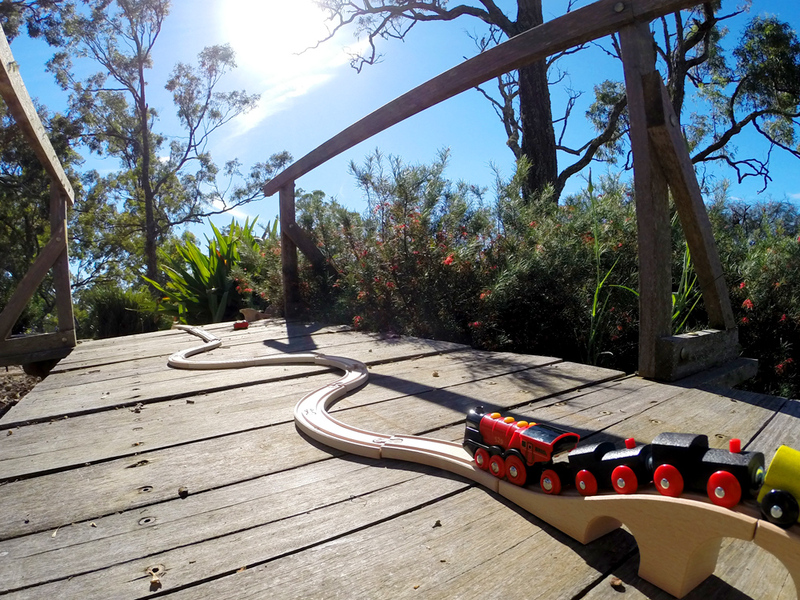 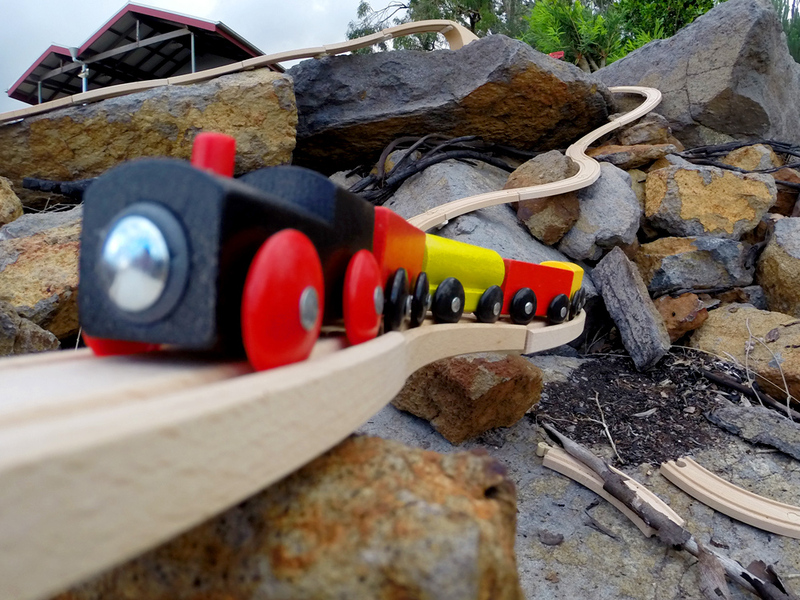 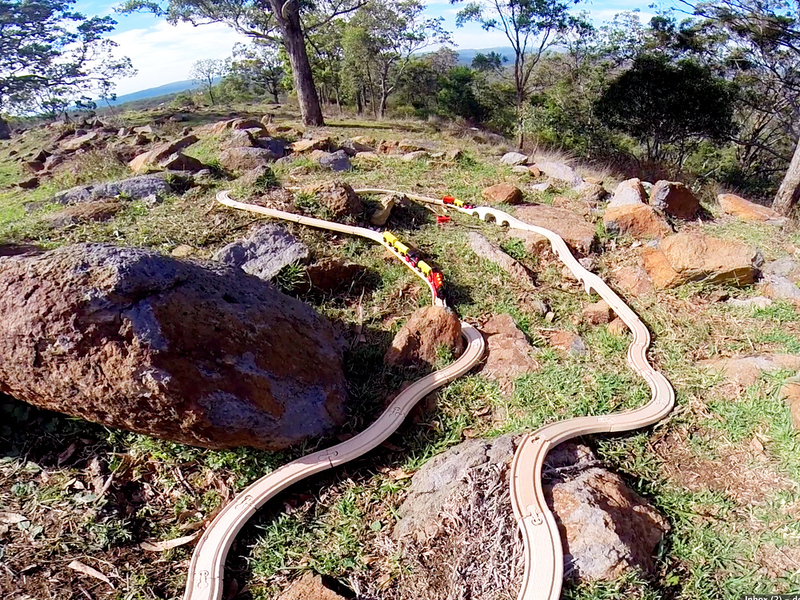 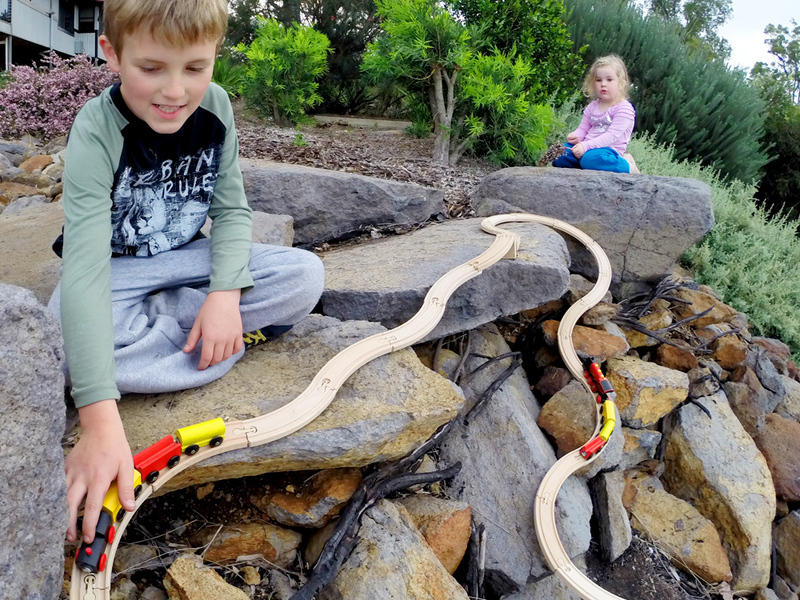 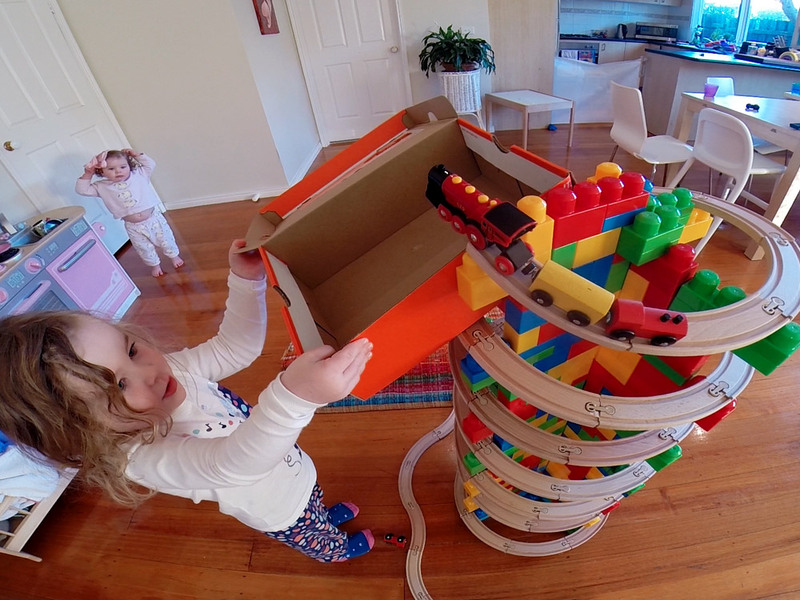 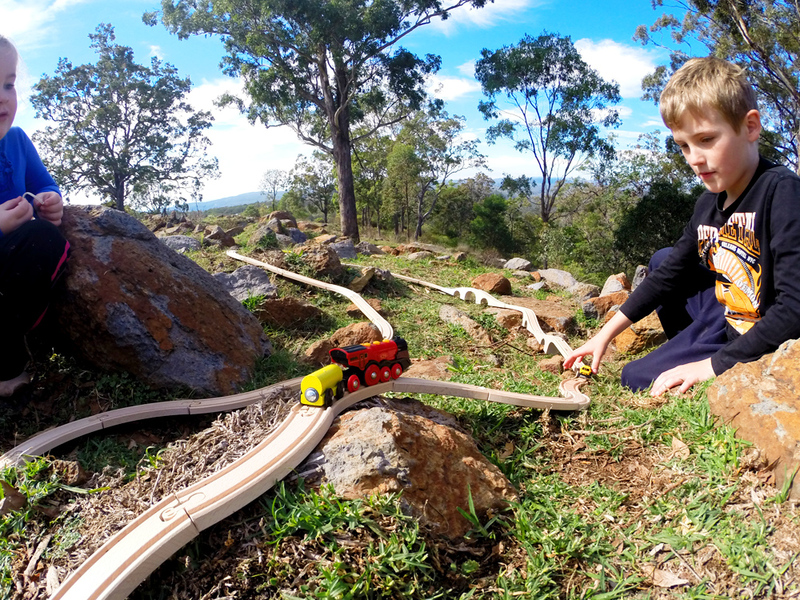 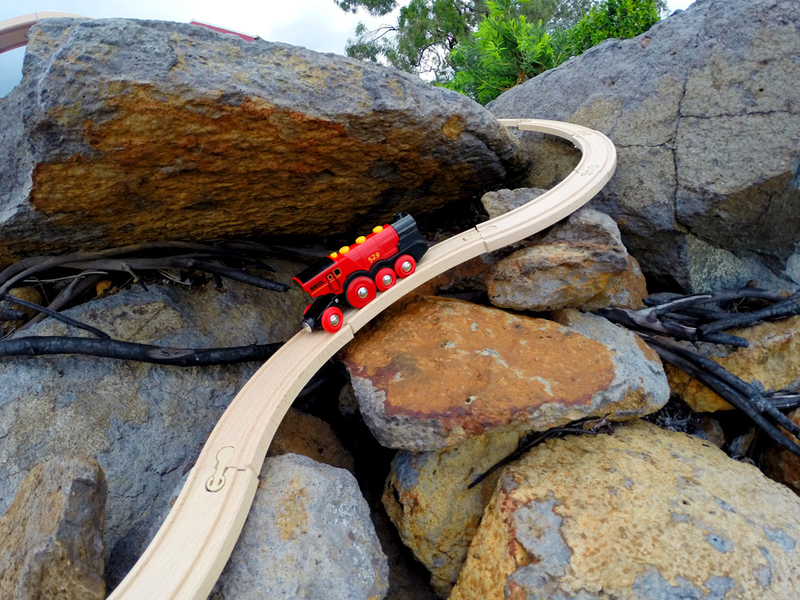 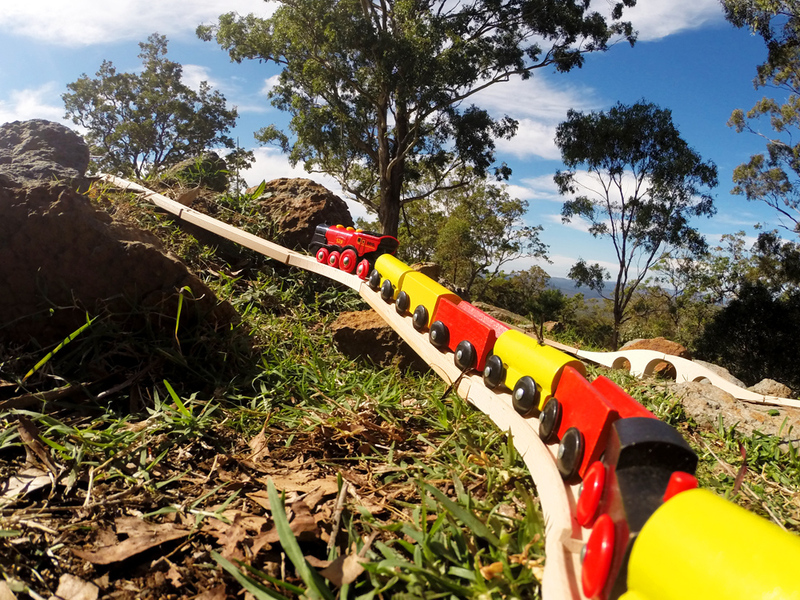 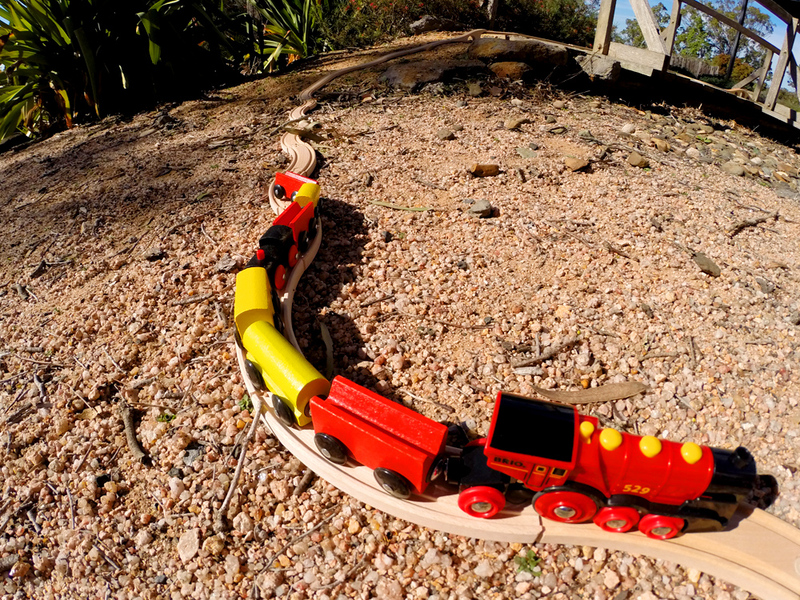 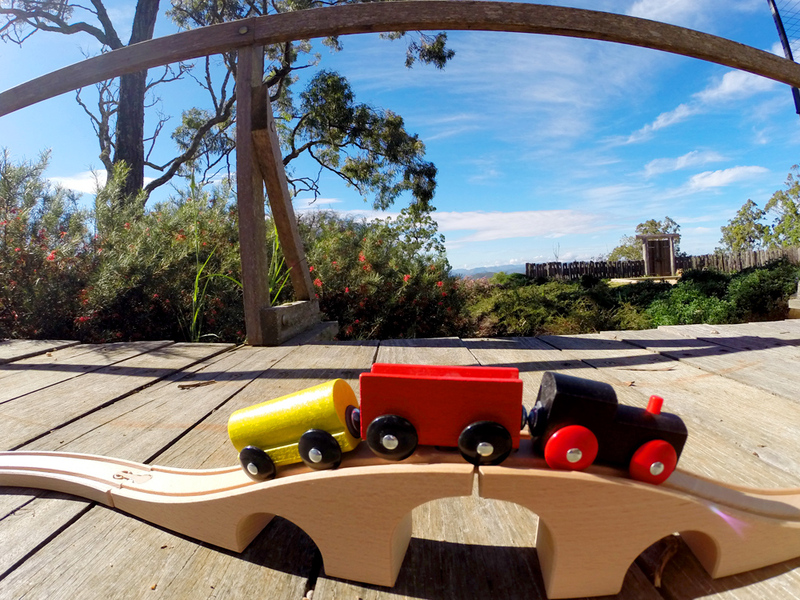 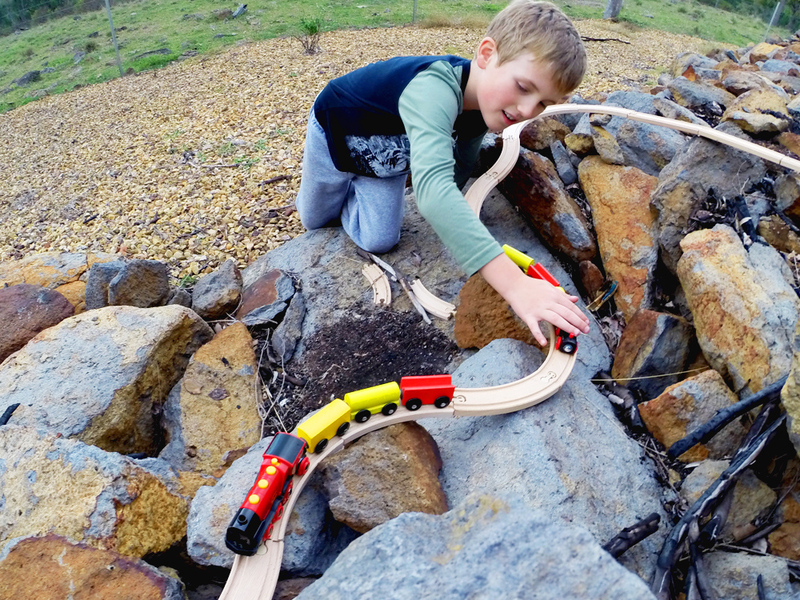 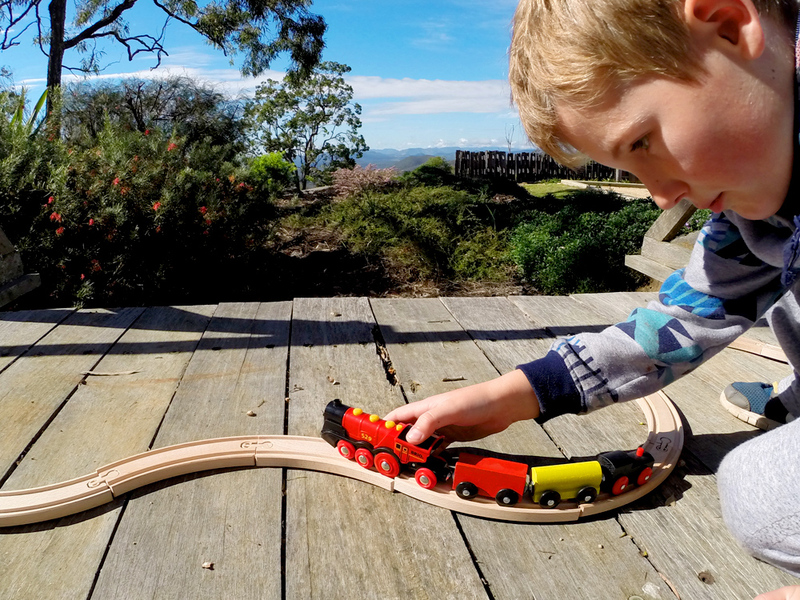 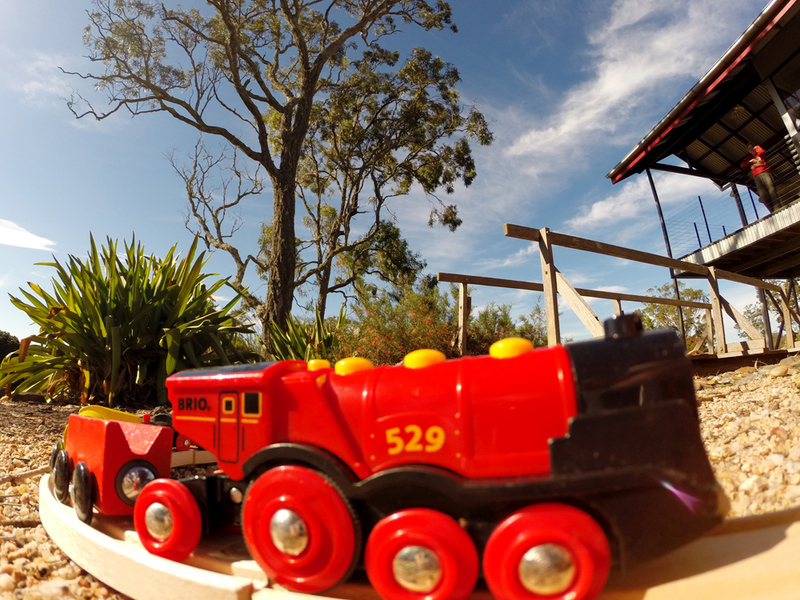 It was a bit of a challenge and our little toy trains had a few spills trying to make it around the bends but it was fun scrambling over the rocks and finding ways to prop the train tracks up. 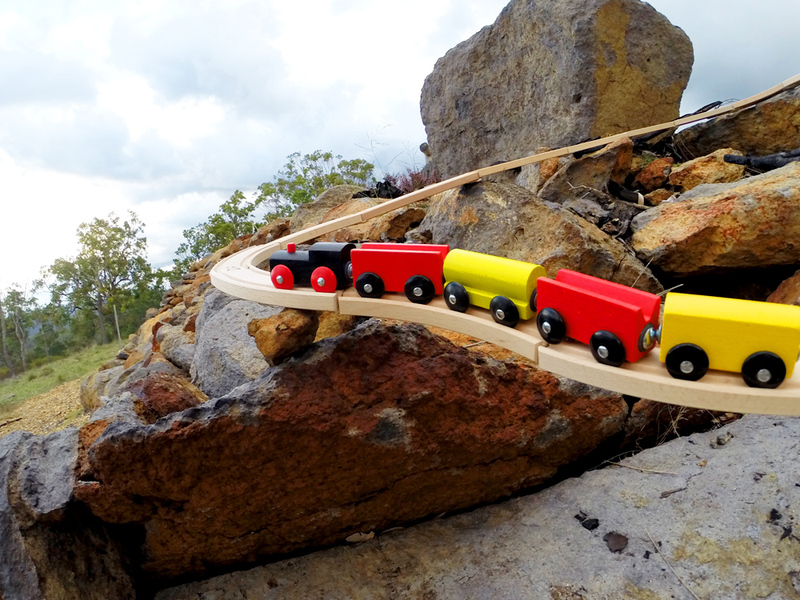 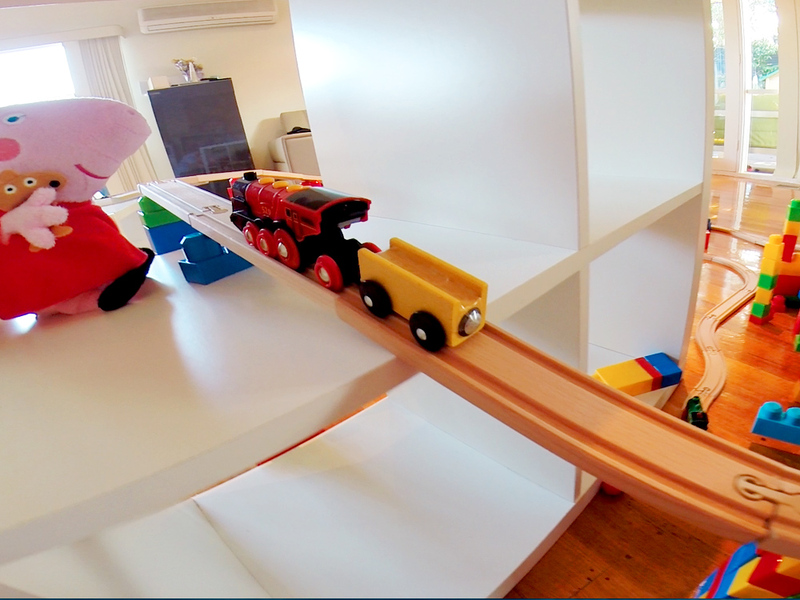 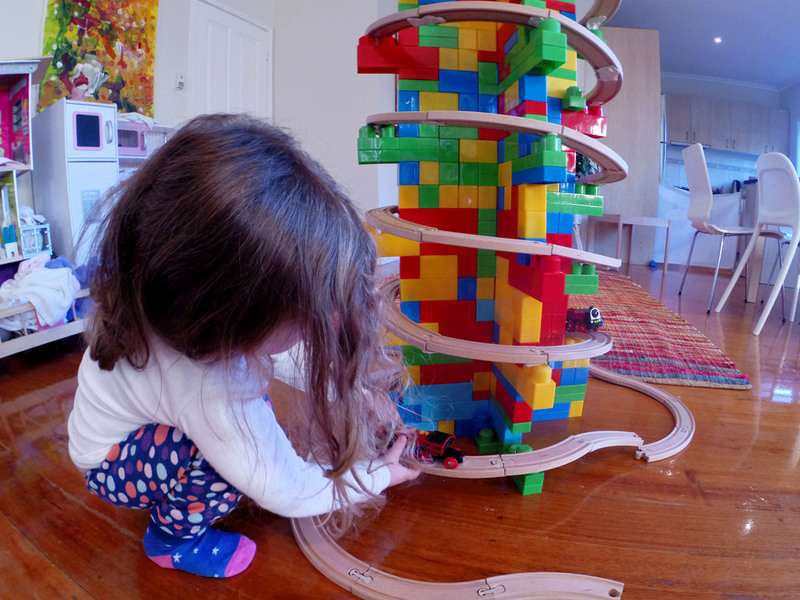 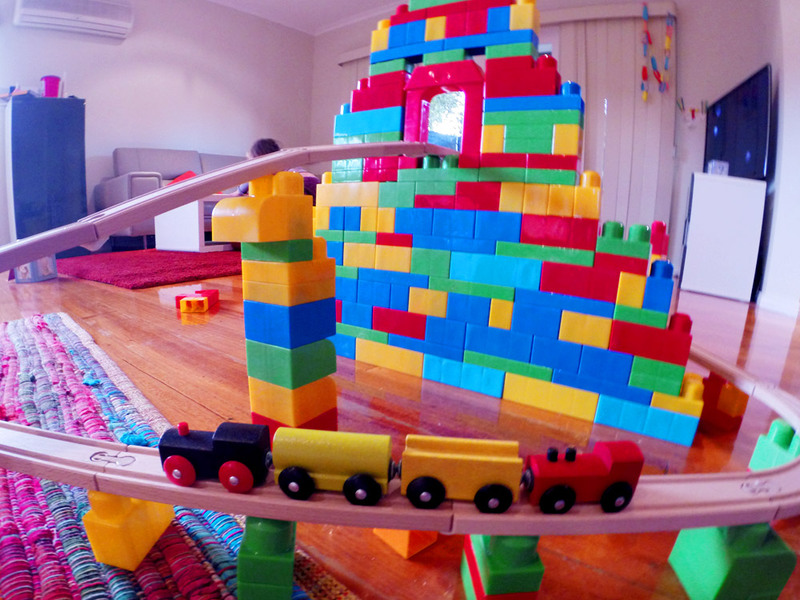 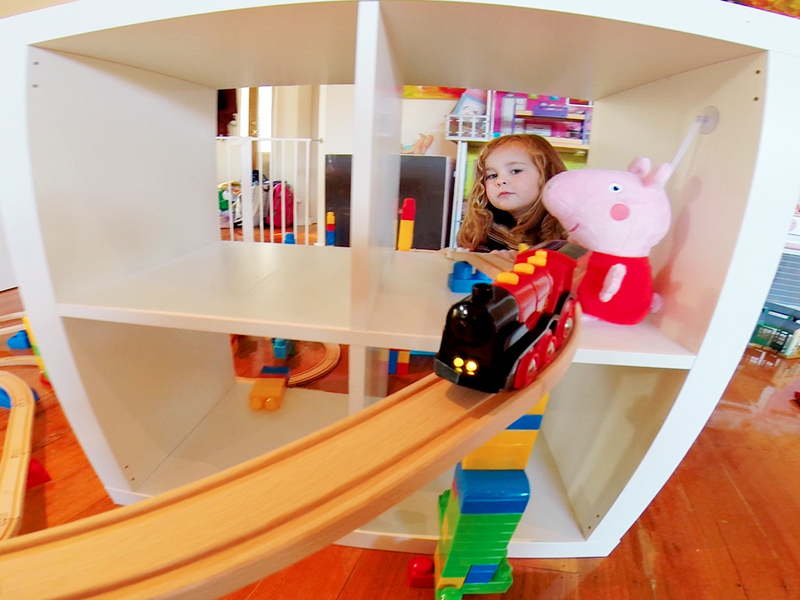 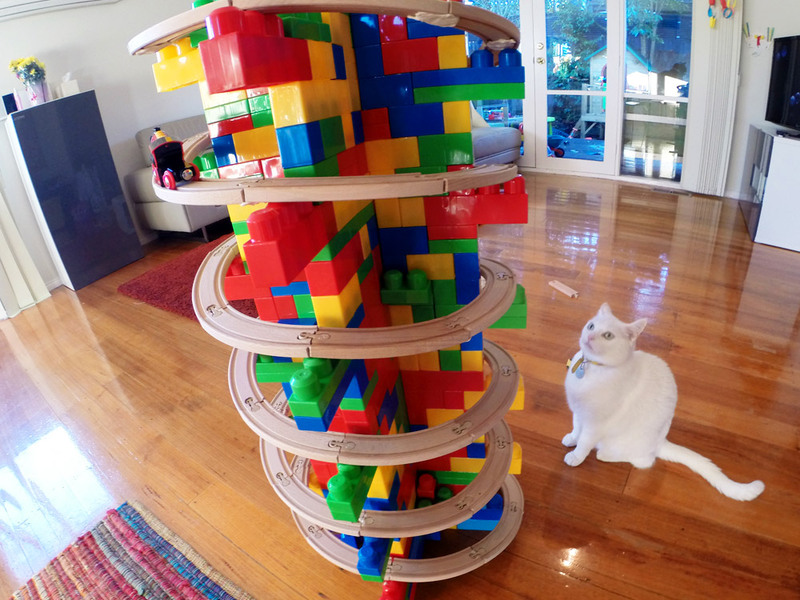 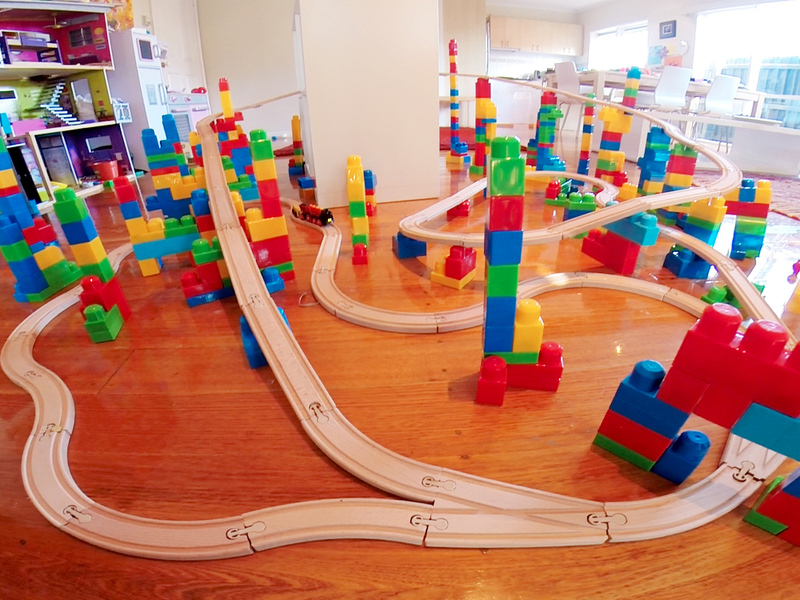 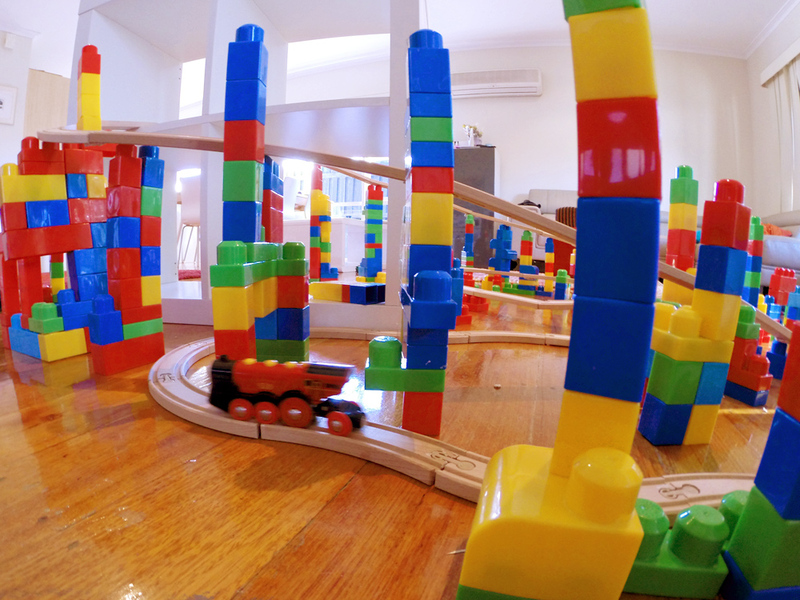 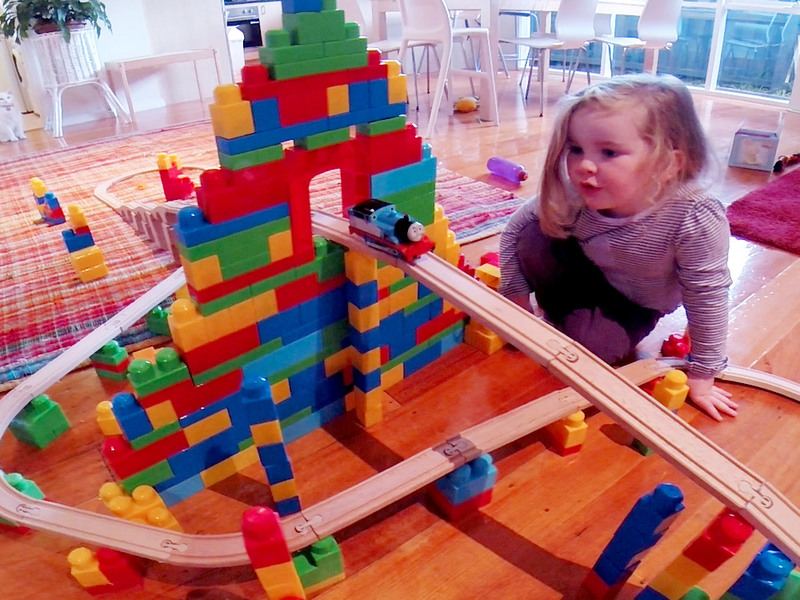 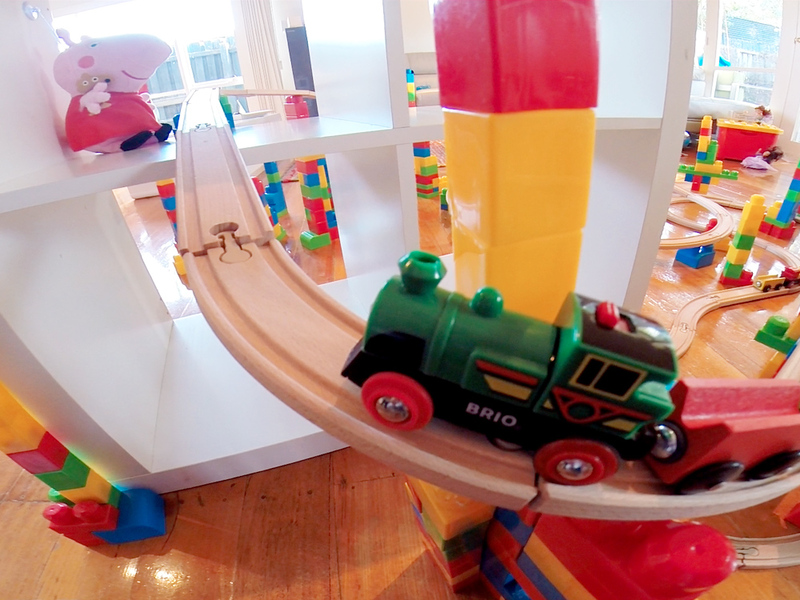 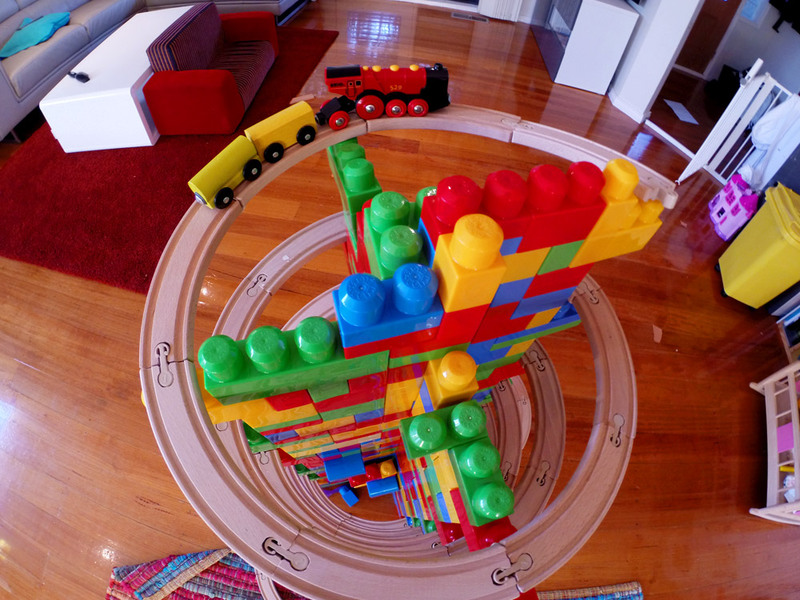 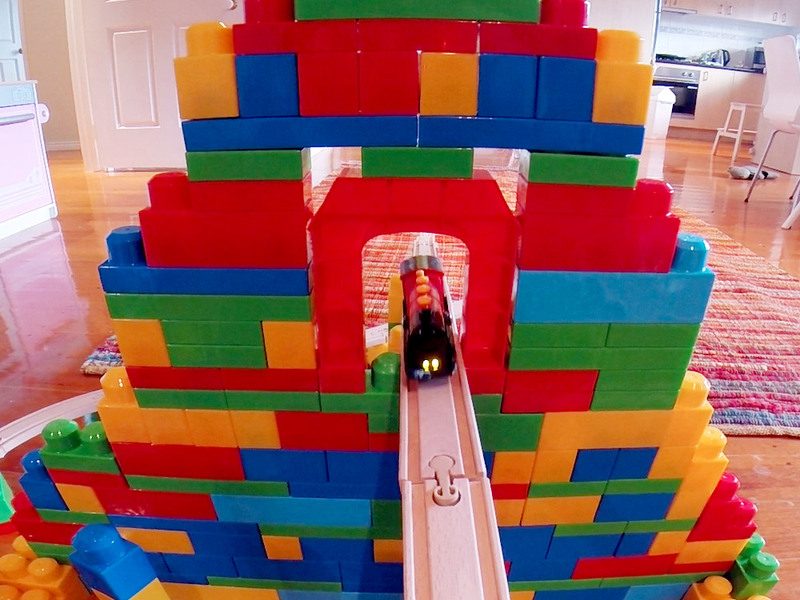 This is not a railway set for the fait hearted!